Friendships are an important source of happiness. 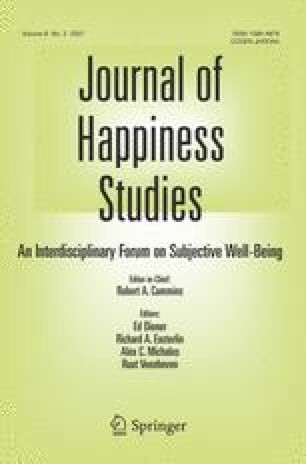 The present study (n = 280) investigated the role of friendship quality and conflict in happiness and examined the feature of friendship that best predicted happiness. Information was gathered about the quality and conflict of the best, first and second close friendships of the individual. Results revealed that best friendship quality was the only significant predictor of happiness; however, individuals were happier when they experienced high quality first close friendships in conjunction with a high quality best friendship. Results also revealed that first close friendship quality buffered the negative impact of first close friendship conflict. The companionship feature of the best and first close friendship appeared as the strongest predictor of happiness. Findings were discussed in light of the literature and suggestions for future research were made. Authors would like to thank to Selim Alpmen, Hüseyin Akbay, Özlem Tulunay and Evren Uğur for their comments on a prior version of the paper.